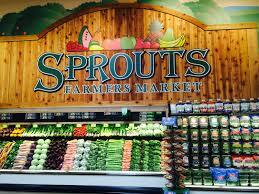 Let’s Walk Together to Raise Awareness and Donations Towards Fighting Hunger in San Diego. 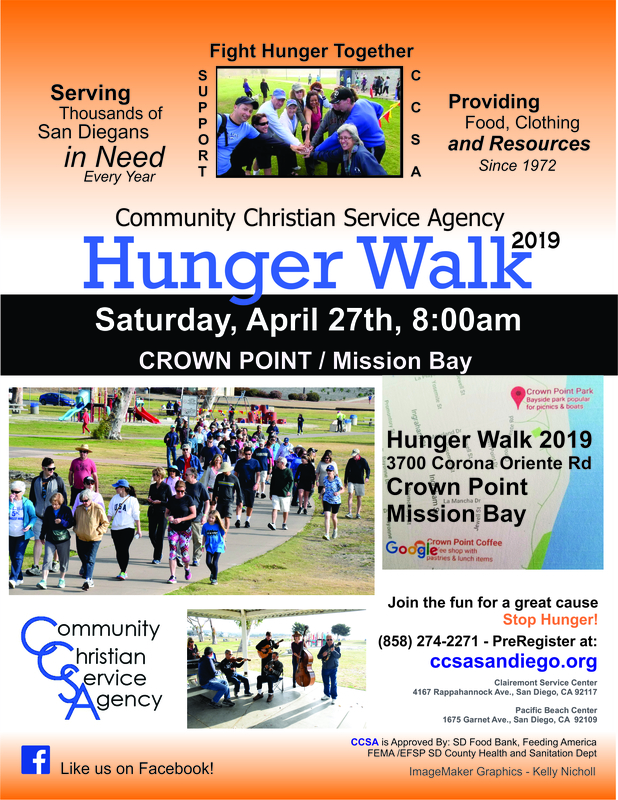 Sunshine and warmer temperatures are around the corner and so is the Annual CCSA Hunger Walk. 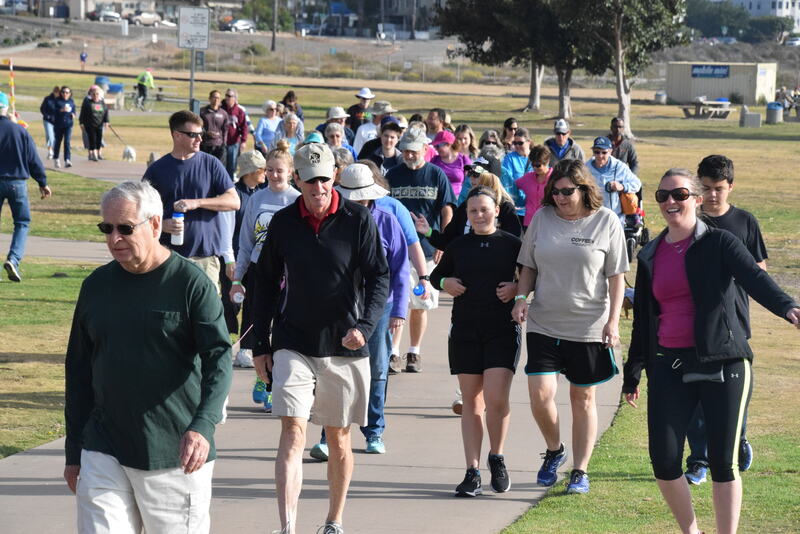 Every year, walkers come together bringing friends, family, neighbors and coworkers to support the fight against hunger in San Diego County. 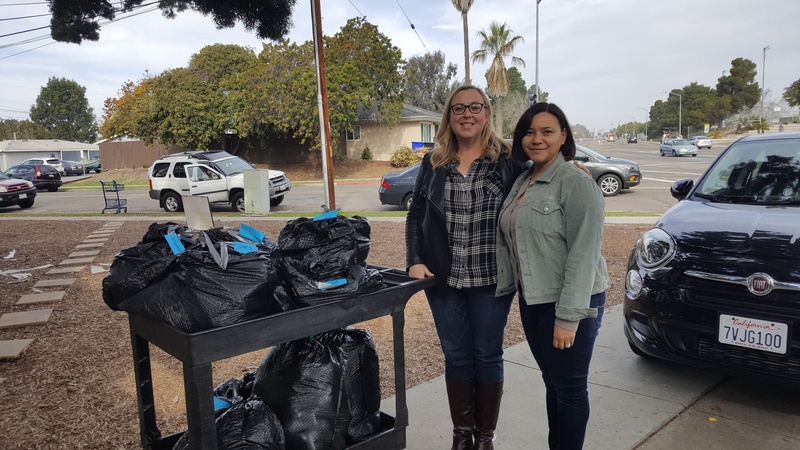 CCSA provided food, clothing and other services to over 30,000 low income and homeless individuals and families in 2018. We encourage you to join in and bring the special people in your life to this year’s walk on Saturday, April 27th, Crown Point in Mission Bay. It’s a fun and exciting way to support a great, local cause and meet like-minded people in our community. This is a low-stress, flat-path scenic walk along Mission Bay – All are Welcome! Please click HERE for REGISTRATION!